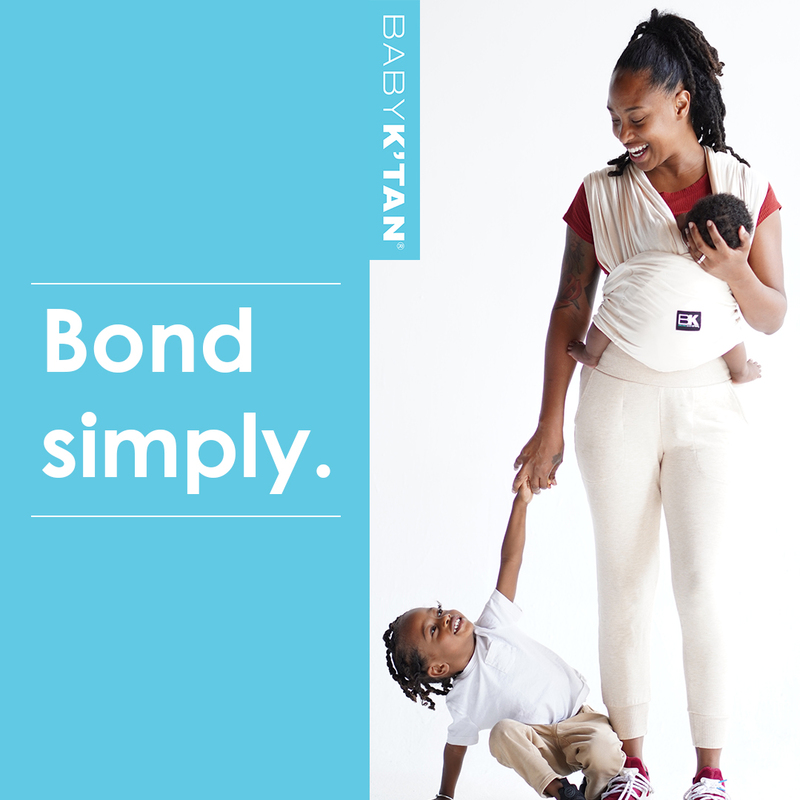 Valentine's Day is not just about candy and chocolate. 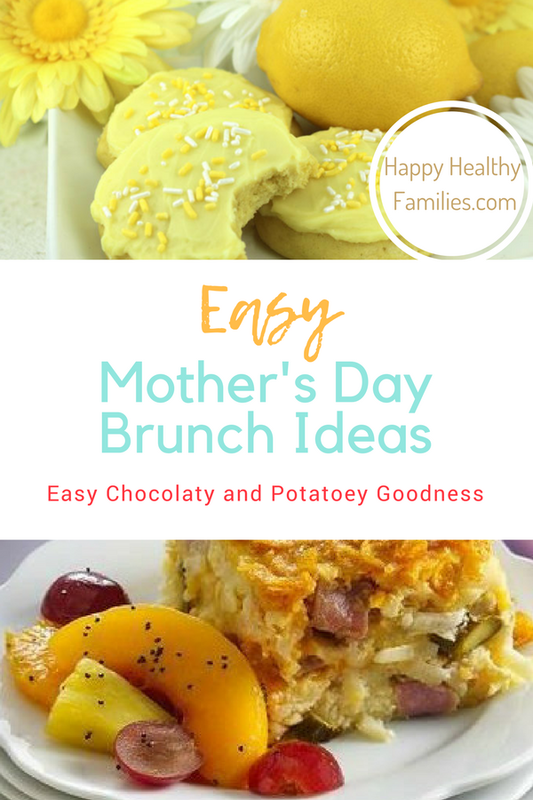 It is also about baking (and eating) sweet sugary desserts without chocolate. And without guilt. Just ignore that little voice inside your head reminding you that you just finished eating all those Christmas cookies. After all, is it our fault these holidays are so close together? 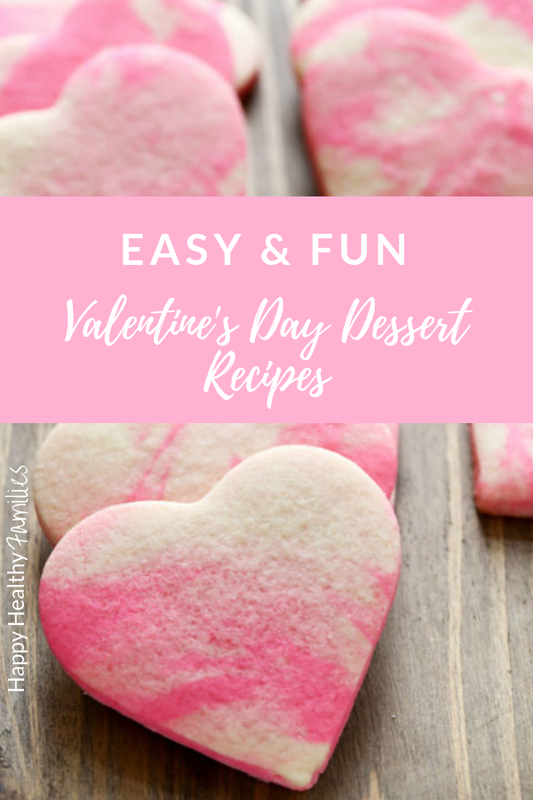 And whether you are thinking about making romantic recipes for two, or easy homemade treats kids will love, I think these Valentine's Day dessert ideas work either way. Super Easy 2-Ingredient Desserts Using Ingredients That Are Probably in Your Pantry Right Now! Heart-shaped desserts for Valentine's Day like these cute Red Velvet Cheesecake Brownies will make everyone on your sweetheart list smile, guaranteed! Get the recipe at The Novice Chef. Sweet sugar cookies with a pink twist are a perfect and easy homemade Valentine's Day treat for adults and kids. 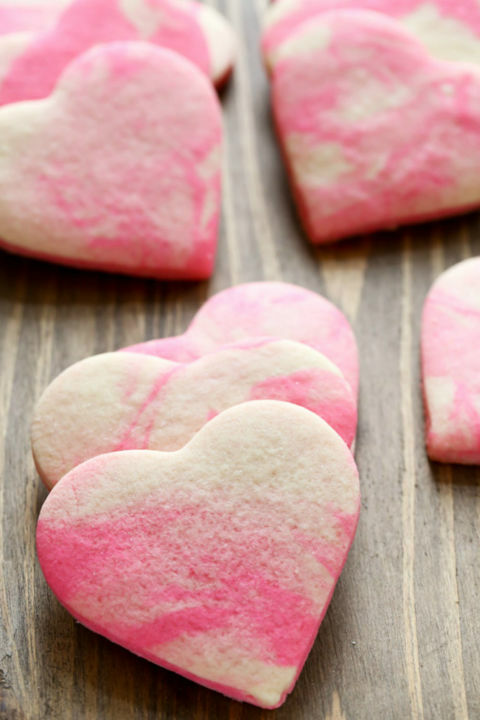 Just add some pink or red food dye to your regular sugar cookie batter. Wilton's heart-shaped cookie cutters work well for this recipe. Get the step by step recipe at Baked By Rachel. 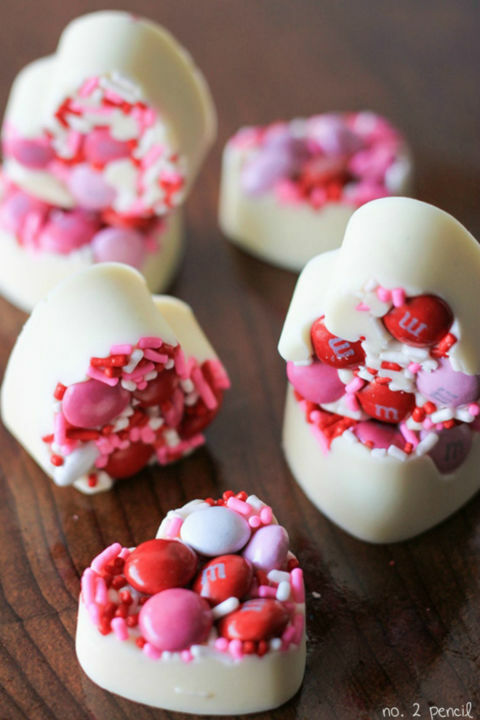 One of my all-time favorite easy Valentine's Day desserts ever! This pink roll cake is topped with chocolate hearts and filled with surprise pink hearts inside! And when you check out the recipe over at Cleobuttera, you will be delighted to see this easy Valentine's Day cake starts with a simple store-bought box of cake mix. Any shortcuts when it comes to cooking or baking makes me very happy. Just saying. 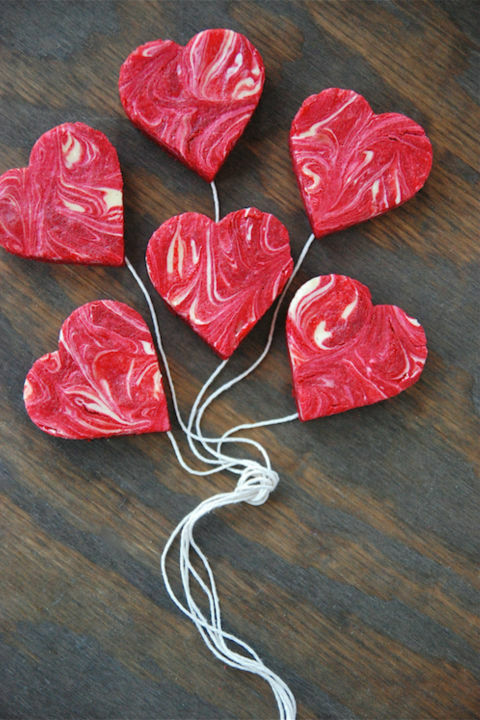 These Candy Bark Bites are a fun easy Valentines Day treat for school parties or as a cute Valentine's surprise for kids when they come home from school! 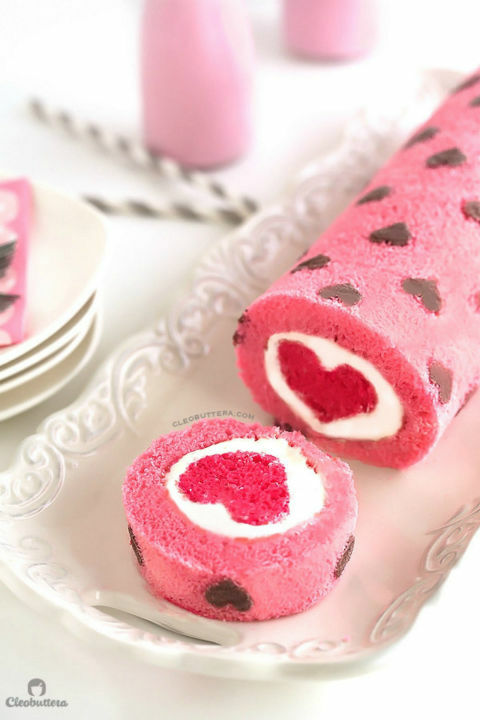 You will need a heart-shaped baking mold to make this dessert. And be sure to head over to No.2 Pencil to get the complete step by step recipe.